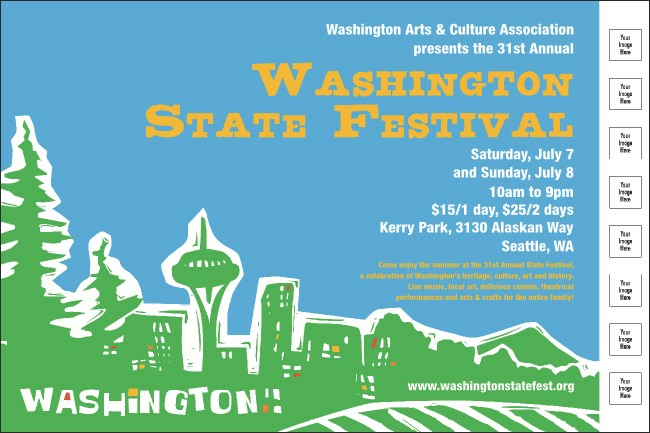 For an event promotion as big and bold as the Evergreen State choose the colorful Washington Poster. Printed with five spaces for your custom images, this spacious poster features famous landmarks like the Space Needle and Mt. Rainier. Keep your promotions colorful with matching kits from TicketPrinting.com.